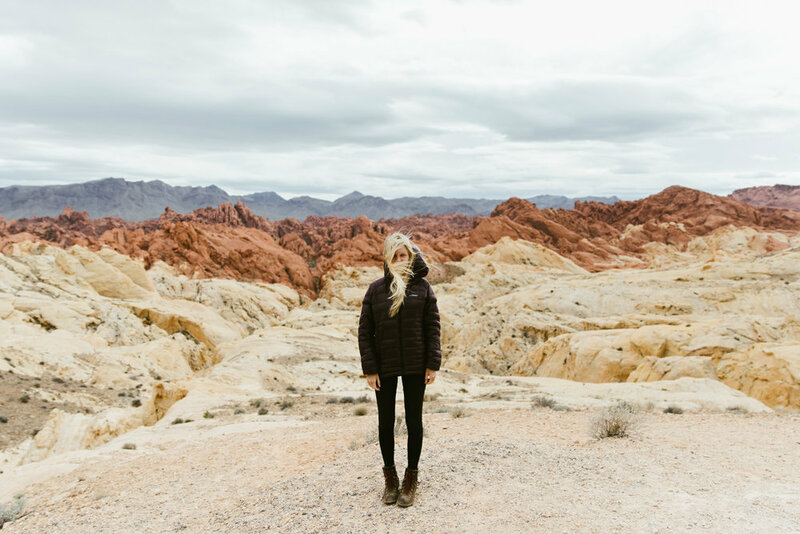 An impulse trek to Vegas after an adventure engagement session in Mojave Desert National Preserve made for the perfect opportunity to explore a new park, Valley of Fire. Admittedly, we were bummed about the fee to enter the park, but made sure to make the most of our $10. We drove through desert mountains from i15 until descending upon the valley. The bright orange formations really do contrast the surrounding terrain as a campfire in the woods. 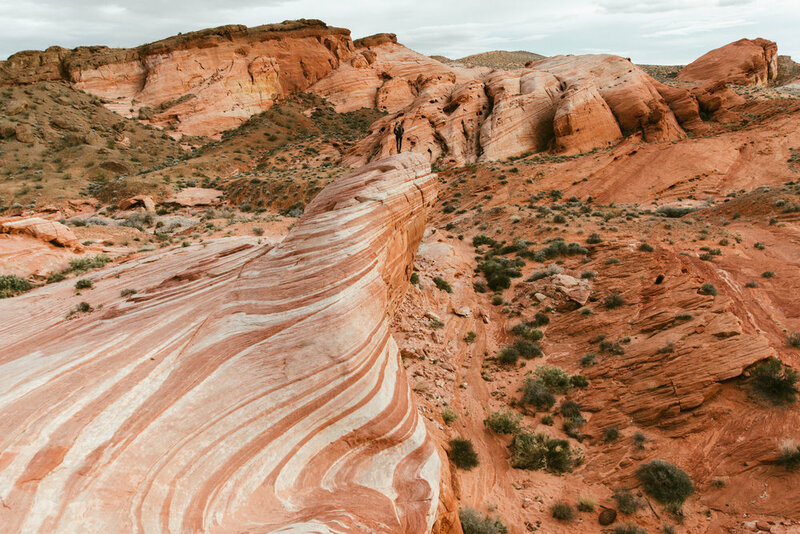 We got stoked on the chossy sandstone and immediately set off into the crumbly masses. I scrambled a few stories up a crack system and slabby top out, while Abbi and Charlie explored some caves and such.